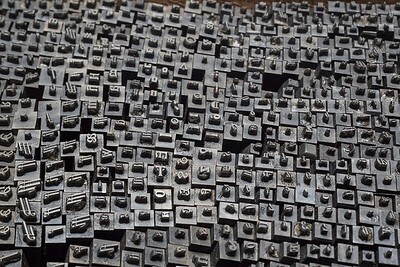 In addition to the approximately four-hundred punches of the Tallone type, designed by Alberto Tallone and cut by Charles Malin in Paris, the Reserve of Punches brings together several thousands hand-cut punches from the 18th, 19th and 20th century, where many different styles are represented. Beside the Reserve of Punches, which is one of the most important collection of the kind in Europe, the Archive of Styles includes the complete range of engraver's and founder's tools (also displayed on this website). This large endowment of punches, types, tools and presses has gone hand in hand through an uninterrupted chain of printers, who have implemented it since the time of the French Revolution. His first owner, Jean Baptiste Noëllat, printer in Dijon, passed it to Nicolas Odobé in 1827, followed by Charles Brugnot, Duvollet-Brugnot, Lazare Loireau-Feuchot, Jean Emile Rabutot, Victor Darantière and Maurice Darantière. The latter, who inherited the studio from his father in 1908, moved the equipment from Dijon to Châtenay-Malabry, near Paris, where Alberto Tallone started his apprenticeship in 1931, while also at the same time cooperating with Léon Pichon in Paris. For both, Tallone designed many books until 1938 when he took over their types and presses and established his publishing house in 28 rue des Tournelles, Paris. In 1960, he moved it home to Alpignano, Italy. 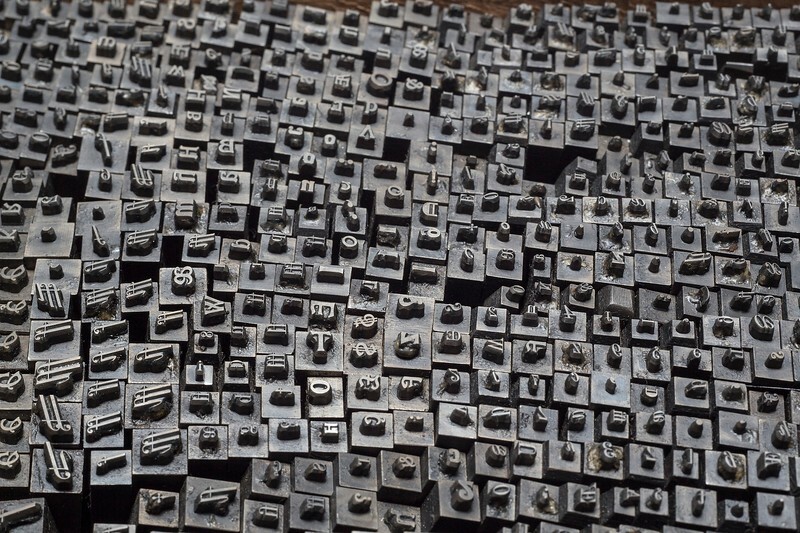 His goal of combined aesthetic and editorial truth in letterpress-printed books has been pursued since the 1970s by his son Enrico, in collaboration today with his wife and children. THE CONSERVATION OF THE SEEDS OF CULTURE. THE BIBLIO-DIVERSITY. 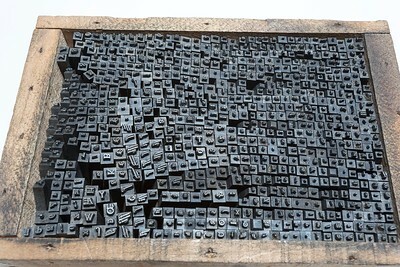 At the Tallone Press, the conservation of the 'seeds' of Culture, that is, hand-cut punches and original foundry types in different styles, represent a 'garden of biblio-diversity' capable of giving shape to the multiplicity of Thought. La Casa editrice Tallone, continuatrice di una tradizione iniziata a Digione a metà Settecento, include una collezione molto vasta di punzoni, matrici, caratteri, che spazia attraverso i secoli. Oltre ai circa quattrocento punzoni che compendiano i 5 alfabeti del carattere disegnato da Alberto Tallone, inciso da Charles Malin a Parigi, la Conservatoria riunisce diverse migliaia di punzoni sbalzati a mano del Settecento, Ottocento e Novecento, nei molteplici stili. A corredo di questa collezione, che costituisce una delle più importanti d'Europa, è raccolta la filiera completa degli strumenti d'epoca per l'incisione e la fondita. 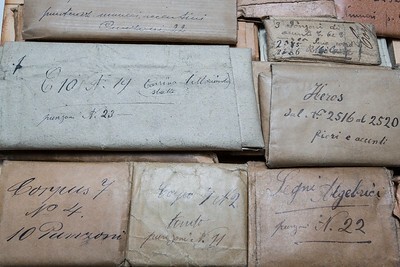 L’officina tipografica, oggi Casa Editrice Tallone, fu fondata a Dijon all’epoca della Rivoluzione Francese da Jean Baptiste Noëllat, a cui successe Nicolas Odobé nel 1827, seguito da Charles Brugnot, Duvollet-Brugnot, Lazare Loireau-Feuchot e da Jean-Emile Rabutot, la cui attività fu rilevata nel 1870 da Victor Darantière e proseguita a partire dal 1908 dal figlio Maurice. A partire dal 1931 Alberto Tallone fu apprendista presso quest'ultimo e presso l’atelier di Léon Pichon. Dopo aver progettato per entrambi numerose edizioni, nel 1938 rilevò i loro caratteri e torchi, fondando le Éditions Alberto Tallone in rue des Tournelles, 28 a Parigi. È questo un caso unico di continuità nella storia dell’editoria europea. Tallone trasferì la casa editrice ad Alpignano nel 1960. Dagli anni Settanta, è suo figlio Enrico, oggi con la collaborazione della moglie e dei figli, a perseguire l'obiettivo paterno di coniugare accuratezza filologica e ricerca estetica in ogni edizione composta interamente a mano. La conservazione dei ‘semi’ della cultura, ossia dei punzoni sbalzati a mano e dei caratteri originali nei diversi stili, costituisce presso la casa editrice Tallone un ‘giardino letterario’ di biblio-diversità che dà forma alla molteplicità del pensiero. 24-point punches of the Tallone type. 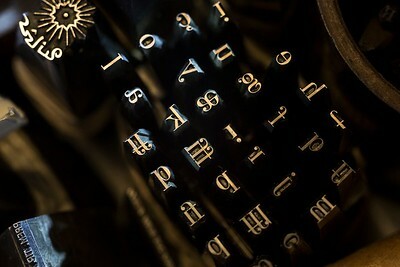 Violin key on pentagram. Point-64 hand-cut punch. Beginning of the 19th century. 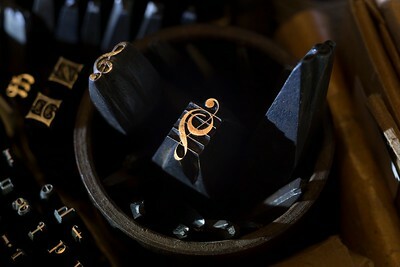 Musical hand-cut punches. 19th century. This framing permits to notice the tapered shape which characterizes hand-cut punches. The Reserve of Punches houses dozens of different series of punches, classified and collected in their original envelopes. 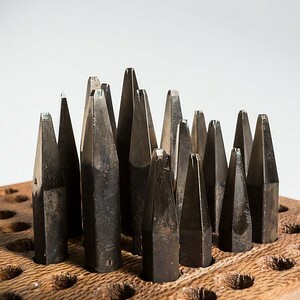 In addition to the many hand-cut series of punches, distinguishable by their tapered shape, the Reserve of Punches also includes several late 19th-century and early 20th-century series engraved by means of a Benton pantograph. In the latter, the letter emerges from a flat base. 12-point hand-cut neoclassical punches. First half of the 19th century. Oltre alle numerosissime serie sbalzate a mano, che si distinguono per la forma affusolata, la Conservatoria dei punzoni contempla anche diverse serie incise tra la fine dell'Ottocento e l'inizio del Novecento per mezzo di frese al pantografo a pendolo Benton. In queste ultime il grafismo emerge da una base piatta.